The web may be a big place, but space is certainly limited when it comes to securing a spot on that first page of a Google search. That's why investing in your site's SEO is critical for staying relevant and ensuring the appropriate audience finds you. Thankfully, doing so just got a bit easier with SE Ranking, and now you can sign up for a personal plan for $49.99. 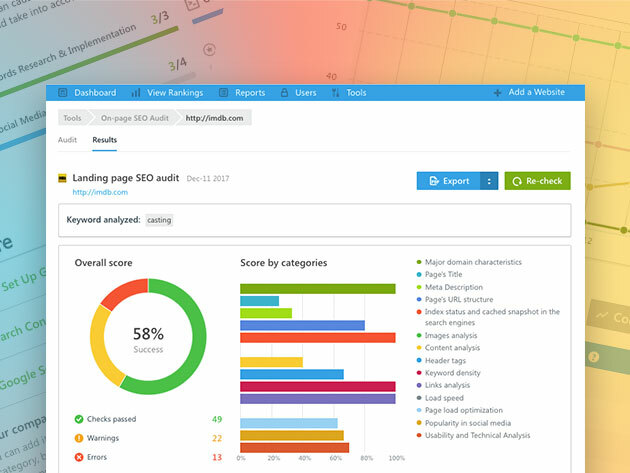 SE Ranking delivers all the standard SEO tools, like keyword position tracking and competitor research, while also loading in unique features like page changes monitoring and SEO ROI forecasts. You can audit as many pages as you need while receiving actionable recommendations on the go. Plus, you can discover what keywords your competitors are using in their ads to give you an edge online. You can net a lifetime personal plan of SE Ranking for $49.99 in the Boing Boing Store.